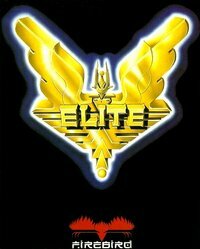 Bugfix for Engine Supercharger (performance grade player ships were getting no benefits). Each grade now has a piece of equipment that is unique to that grade (as large cargo bay was to service grade in previous versions). Removed multiple requirements for the same piece of equipment. Only one criteria now needs to be satisfied for any piece of equipment to be fitted. Non player ships can now be identified according to their ship grade e.g. Adder (service). Military grade vessels are likely to be tougher and performance grades are likely to be faster. 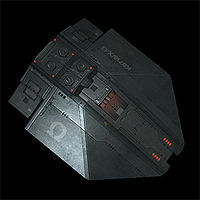 Ships from other oxps are now also subject to this system. Some reclassifications of ships in anticipation of future additions. Adjusted extra cargo capacities for core ships. Credited Zireael for his cargo based equipment system. Inspired partly by this, and motivated by this, I've written a very simple oxp to address my own take on equipment allocation amongst the game's ships. This is a dependency based system rather than a cargo based one, and those dependencies rely largely upon new, possibly hidden pieces of equipment (currently visible in order to illustate workings). These three criteria are to be reflected in the ships standard equipment as non-breakable, non-visible items. 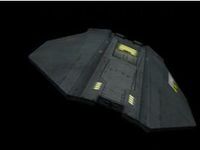 So, this ship would be able to fit any equipment available to small and medium, low to standard tech ships, whether it be of service, civilian or military grade (subject to any cargo requirements). As this is essentially a list of restrictions built around debatable categorisations, it's likely to mean that some favoured combination is unavailable to some players (hey, this is oxp ) but I have introduced 3 (well, 2 1/2) new pieces of equipment to add some flexibility. I'll try to illustrate how they work with two different ships: the Cobra III and the Anaconda. 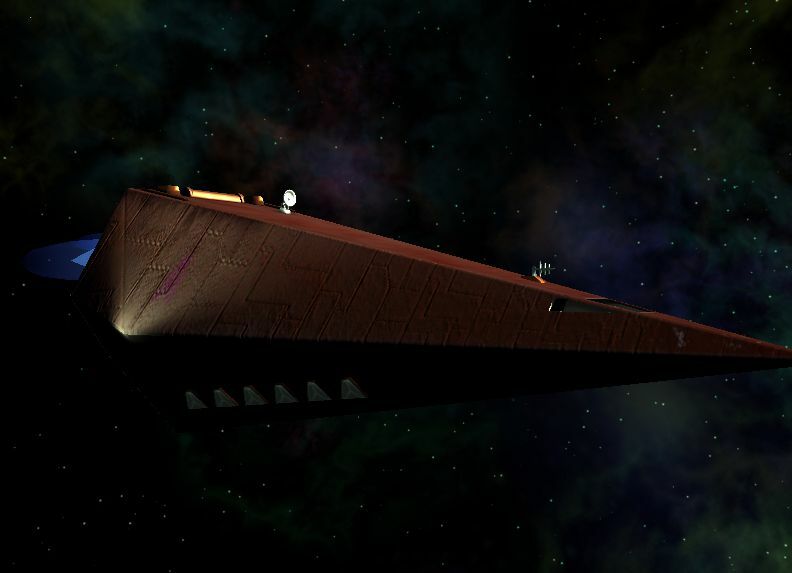 The Cobra III has been classed as a large, high-tech, civilian ship. As such, it could equip all sorts of things, but not (gasp!) a military laser... But all is not lost. 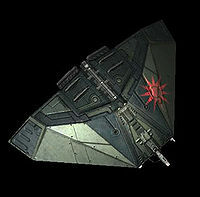 This ship is high enough tech to have a military refit and then be able to use military grade equipment such as the laser. The cost (besides some credits and a lot of time in the shipyard) is that it could no longer have the service re-fit (effectively a new name for the large cargo bay). So, if you want a military spec cobra III, then that's fine, but there's no longer room for that large cargo bay. Only one type of re-fit would be allowed. The anaconda however, has been classed as a large, standard, service craft. 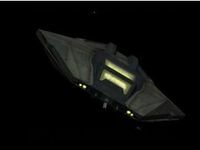 It does have the option of a civilian re-fit, which would enable the use of things like beam lasers and ECM, and so is likely a good investment. Having the civilian re-fit does not however, enable a military re-fit at a later date. Medium tech service craft can only be modified by so much (Ranthe et.al. this might not be for you, unless you tweak it of course...) That doesn't mean that military anacondas couldn't exist, it just means that you couldn't turn the standard model into one c.f. moray and medical moray. 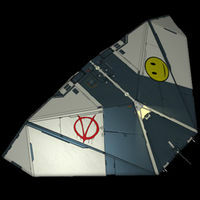 Full details of ship and equipment classifications are included in a readme file within the oxp. In terms of other oxp equipment, that should be largely unaffected by what is here, operating outside of, but not in conflict with, this oxp. 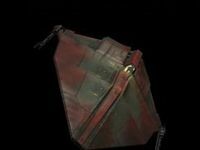 WARNING: some ships (oxp in particular), may find that several pieces of equipment are removed by this oxp in it's current incarnation. So it's not quite finished but it should be illustrative of what I have in mind. I'd be very interested to hear what people think of it. Last edited by Redspear on Mon Oct 31, 2016 12:02 am, edited 7 times in total. Grabbed, seems very well thought out. I'll test it once I have enough money for a military re-fit for a Cobra - how much is that again? I think it should probably cost more and the cost should probably be proportinal to the size of the ship. That would give a nce consistency with the popular 3TC increase to the adder and also scale up pleasingly with a doubling (+1) by each increase in size. After I am done with the Sidewinder and right after that the station, I will take some time to play around with this interesting oxp. Haven't put much game time in Oolite as of lately. 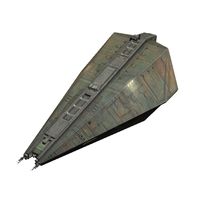 Thanks dertien, it would be interesting to hear your thoughts as someone who's re-modeled (and re-imagined) the core oolite ships. Not sure if that would be the right way around but it might be nice if a re-fit was reflected in the ship's appearance. 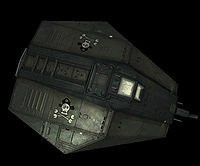 There are some options outside of Griff's shipset too e.g Ramon's Anaconda as the basic Anaconda service model (with those vulnerable cargo bay doors)? Well, I know for a fact that if you make different ships with different looks (attaching for example different subentities to them) like I did with the HPC cobra pack, where I have a Scavenger, Miner, Hauler, Hauler Sentinel (no LCB), Sentinel and Vanguard Cobra Mk3 variants, that should work for you. For example the scavenger, who has no witchdrive has a "hyperspace_motor = no" line in the shipdata.plist and also visually lacks the rotating witchdrive at the bottom on the model. That's why I like your idea so much, since I tried to do the same as you but visually. However you have no doubt followed some of the back an forth messaging between me and Cim on the boards to accomplish to a degree what would make the idea work. Yours goes even a little further as it seems that some equipment is only installable by a certain ship class; which in fact I really like, since it gives every range of ship a unique role, with gameplay characteristics. However, it needs to be very carefully balanced, since you're changing the gameplay too. Although possible, It is very hard at the moment to have subentities react correctly to installed equipment. So it's really hard to have ships look differently if associated with a purchase equipment screen. I was playing with the idea to have a look at the specialized cargo oxp written by Cim and convert it to a specialized equipment screen if that would be feasible, instead of writing the whole thing from scratch. But that's a whole other topic and I don't wish to derail yours. 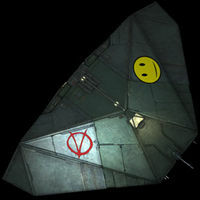 Working with Griff's ships giving your 3 variants different textures per ship would look nice and you can easily make your own based off of the templates he shares on his box account. As the cobra versions look as you portray them here would indeed fit the bill. This leans on very nicely and is a different approach to the frontier style equipment oxp made earlier by Zireael. Can't really put a time on it, since I am working on another real life project too, but will test it for sure. That's why I like your idea so much, since I tried to do the same as you but visually. However you have no doubt followed some of the back an forth messaging between me and Cim on the boards to accomplish to a degree what would make the idea work. Yours goes even a little further as it seems that some equipment is only installable by a certain ship class; which in fact I really like, since it gives every range of ship a unique role, with gameplay characteristics. However, it needs to be very carefully balanced, since you're changing the gameplay too. Thanks and yes, it does need some care as there are potential domino effects such as ship pricing to consider. 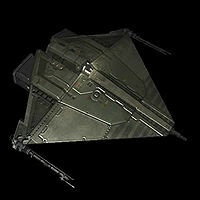 Not many ships, if any, will be made more powerful by this oxp but several will have less equipment options. So it's really hard to have ships look differently if associated with a purchase equipment screen. As well as via the F3 screen (with some scripting) another possibility might be via F3F3 (ship market screen) as a cheap ship when you already have it minus the refit. That's all subject to permissions and review of course. This leans on very nicely and is a different approach to the frontier style equipment oxp made earlier by Zireael. Yeah, I should probably give him a credit as his earlier one showed me that you could simply overwrite the equipment.plist, which is funadamental to making the whole thing work. Can't really put a time on it, since I am working on another real life project too, but will test it for sure. What I'd like to do is to change each ship's summary to display the three criteria that I've used to define equipment availability e.g. 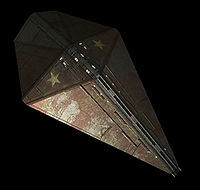 instead of "Heavy Fighter", it might be "Medium, Low-Tech Military". So, after consulting the wiki I included an edited shiplibrary.plist within the config file of the oxp. When I try it however, although it does display things as I'd like, it also displays another version of each ship as before i.e. two asps, two adders etc. Anyone know how I can remove the originals and keep my own (as an oxp solution rather than a personal one)? Unfortunately not practical at the moment, since it's just a list of entries. The text is translatable - you can overwrite the descriptions by overriding e.g. 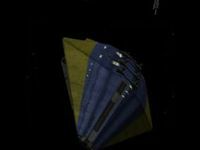 [oolite-ship-library-description-krait] - but the ship categories aren't changeable in the same way. New version available (link in first post). Main change is that this oxp can now get it's claws into all player flyable ships, whether from the core game or from other oxps. By editing the scripts, it is possible to classify an individual ship however you like (Large, High, Military will likely give you access to all equipment without restrictions). I plan to make this process easier in the next version. There is a risk that some purchased (or even advertised) equipment may be removed from a ship. Now that New Lasers.oxz is coming along I thought I might revisit this thing and remove the laser restrictions. It could do with a tidy-up to and I thought it might be clearer if just one ship occupied any of the 27 possible roles. Listed from low tech to high tech (with inservice dates in parenthesis). Listed from low tech to high tech (unlisted equipment, including lasers, is available to all ships as normal). Service, Civilian and Miltary refits not included here. That gives one ship per category, 4 extra pieces of equipment per grade (service, civilian or military) and any increase in a category has an advantage e.g. the advantage to being a large civilian or miltary vessel is being able to equip shield boosters just like their lower grade counterparts. I like the way you're thinking, Redspear. Though I love the idea of equipment restriction, and variety to the ships that are encountered I do have some scepticism. restricting the equipment a player can fit might brake the experience of slowly ironassing your ship. It is the main motivation in the early stages of the game and this might end it too early, killing some of the fan. furthermore for the player that has to deal with up to 50 enemy ship at the same time, (It has happened to me quite some times lately) not having the maximum possible shielding and recharge rate, just doesn't work. you are going to take a ton of fire regardless of your manoeuvrings or speed, and in order for you to manage to kill one, you need to be able to sustain a lot of pounding while you keep a strait line firing until you actually make enough damage. Wouldn't that result in the player been restricted to only using the bigger ships? I mean it surely would make things more realistic, And I am always in favour of realism, but totally realistically one ship should be able to fight off maximum let's say 3 enemies, and I don't think we would like to go that far. So a smaller ship will have the small advantage of being a smaller target, with the great disadvantage of not having shield boosters, or naval energy unit. So how would one impose equipment restrictions, since cargo space and money doesn't seem to matter after some time? The best I think would be both. I mean the only way I would to fight a Cobra Mk III with naval energy unit, shield boosters, and mil lasers on a flimsy Krait, would be if it was significantly less agile from my smaller ship. 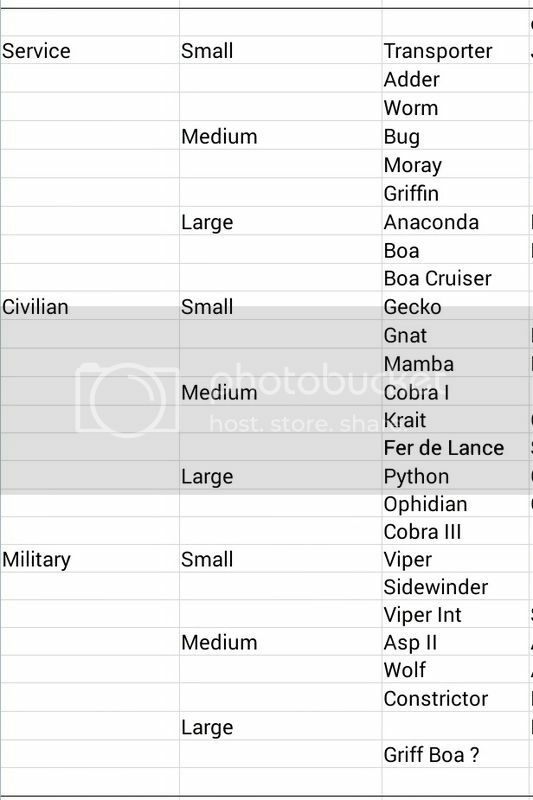 and I do not mean the Krait being more agile, (because after some level it makes aiming more difficult) but the Cobra being a lot less agile. And agility is something that everyone would really consider when buying equipment. Now about the equipment taking up space. 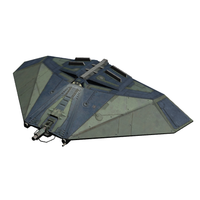 An Adder which is the smaller of the jump capable ships has dimensions 28m x 14m x 51m giving it about 20 cubics of space let us say 18 because it is not completely rectangular. if the 1/2 (totally arbitrary and self generated number) is occupied by the jump drives and basic equipment, minus 2 cubics for 2 tons cargo space we are talking about 7 cubics space for extra equipment so yes that is were things are kind of tight. 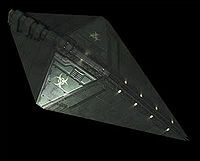 military equipment : like naval energy unit, naval shield enhancement, military lasers, ecm jammer, cloacking device, etc. edit : Oh oh! and fuel consumption I forgot about fuel consumption ! The whole idea of restricting uberification (it is a word honestly ) is great. I hadn't realise the scale of things in oolite before. 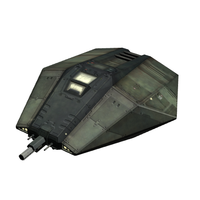 Soooo ships in oolite are comperable to today's modern tankers. So good luck with that handwavium. I give up!